Performance variants are one of the more popular things enthusiasts shout for. “Yes,” we say, “the base car is very good, but what about a heated-up one? What about one for the tracking?” Unfortunately, we probably can let go of the idea of a performance Genesis G70. At least for now. 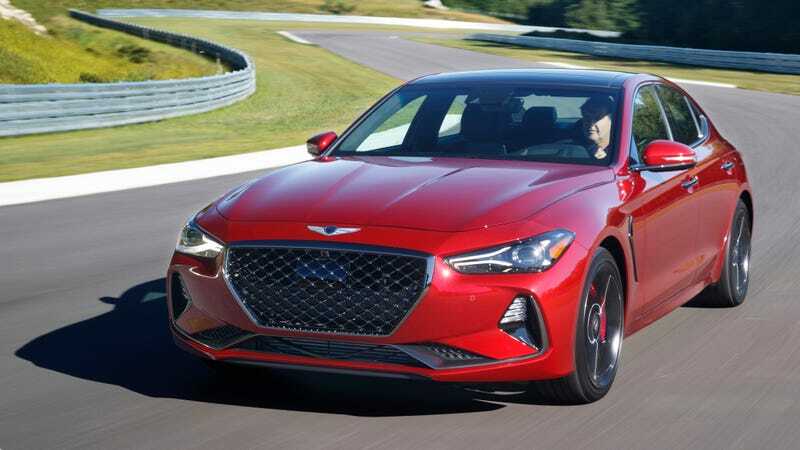 While power upgrades aren’t out of the question, Fitzgerald told Car and Driver flat out that a motorsports-derived program for the Genesis lineup is off the table. Those basics include cementing brand awareness to consumers, expanding the currently sedan-heavy lineup to include crossovers, such as a production version of the GV80 concept SUV-crossover-thing that kinda looked like a Chrysler concept car from the early 2000s, and, as Car and Driver pointed out, establishing a dealer network. In many ways, the challenges that lie ahead of Genesis are similar to the ones that Cadillac faced, except Cadillac already had existing brand awareness (albeit one with unfortunate geriatric association) when it sought to remake itself. And what did Cadillac do? It aimed itself squarely at the heart of the luxury sport market, which was and is dominated by Germans, and launched the V-Series to compete. And the V-Series cars are awesome. We didn’t meet one that we didn’t like. They brought some much-needed excitement to Cadillac’s lineup, but they also didn’t do much for sales of Cadillac’s other cars. So it sounds like Genesis is avoiding the fast car approach and focusing its efforts elsewhere. I don’t know if this is the right or wrong way of doing things, but I hope it’s right. Genesis makes nice cars and I want to see it succeed. We have reached out to Genesis regarding the performance G70 and will update if we hear back.